People want their jeans to be made in America and their food to be local and organic, but what about their flowers? 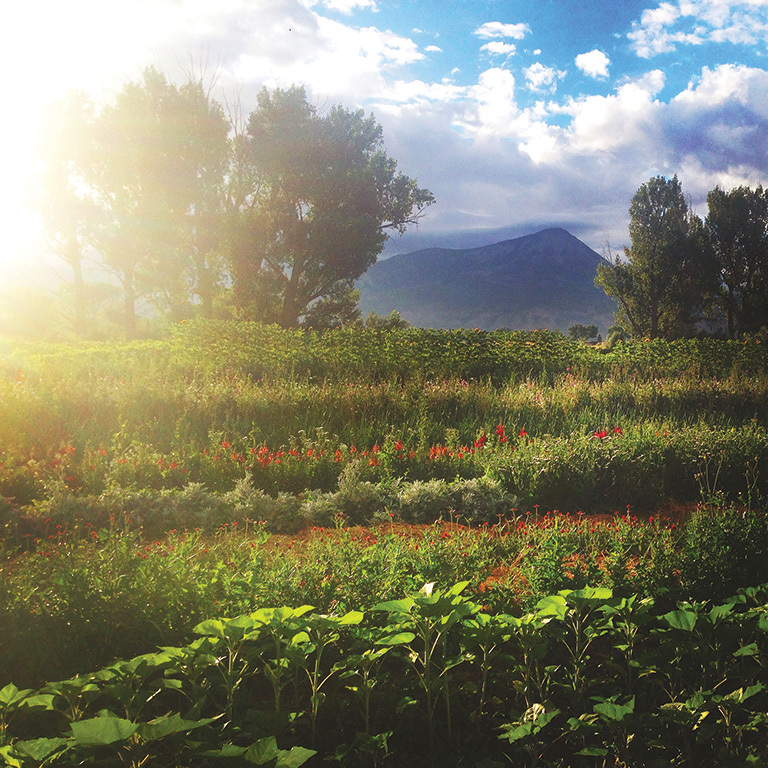 “Walk into any grocery store or flower shop in the U.S. and 80 percent of the flowers are grown outside of the country,” says Don Lareau, co-owner of Zephyros Farm and Garden in Paonia, a hidden gem of a town on Colorado’s Western Slope. “You have no idea if they are covered in pesticides, but people don’t think twice about putting them to their face.” Lareau and his wife, Daphne Yannakakis, are crusaders in the local flower movement. 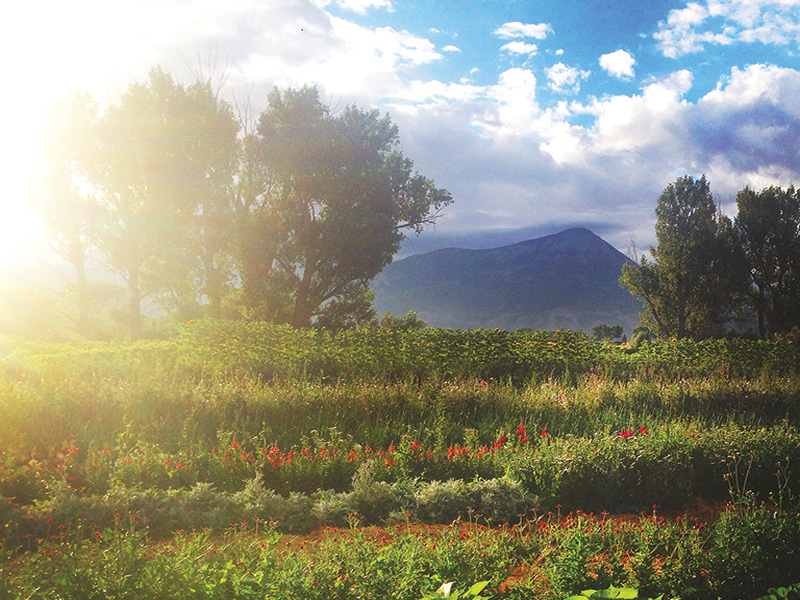 Their certified organic, 35-acre farm grows over 1,000 varieties of woody and herbaceous perennials, annuals and bulbs. When the couple moved from California nearly 15 years ago, they ambitiously raised chickens, goats and sheep, and planted dozens of varieties of vegetables. Yannakakis, who has a background in horticulture, also insisted they plant flowers. When their cut flowers started to sell out at the Telluride Farmers Market they knew they’d found their niche. “Everyone was selling bright, showy annuals, like zinnias and snapdragons, but we were the only ones mixing in perennials, which are my specialty,” Yannakakis says. The couple eventually sold their animals, scaled back their heirloom vegetables and amped up their flower farming. Today, Zephyros Garden and Farm grows nearly every flower you can imagine, from globe thistles and peonies, to nearly 100 varieties of dahlia, Yannakasis’ favorite flower. Last spring, the couple launched Studio Z, a floral design business. Yanakasis cultivated her passion for flowers while working at a fourth-generation perennial nursery in Germany. “In Europe, fresh cut flowers are for sale on every street corner. It’s normal in their culture to buy yourself flowers, just to have them on your dining table,” she says. “I see customers struggle to spend money on a bouquet, but they don’t think twice about their daily $5 latte from Starbucks.” Yannakakis and Lareaeu believe the best way to get people to care about flowers is to get more people buying flowers. In addition to a traditional CSA, the farm offers a flower CSA, and members receive a fresh, seasonal bouquet every week of their membership. “Filling your house with flowers is such a nice way to bring yourself joy,” Lareau says.